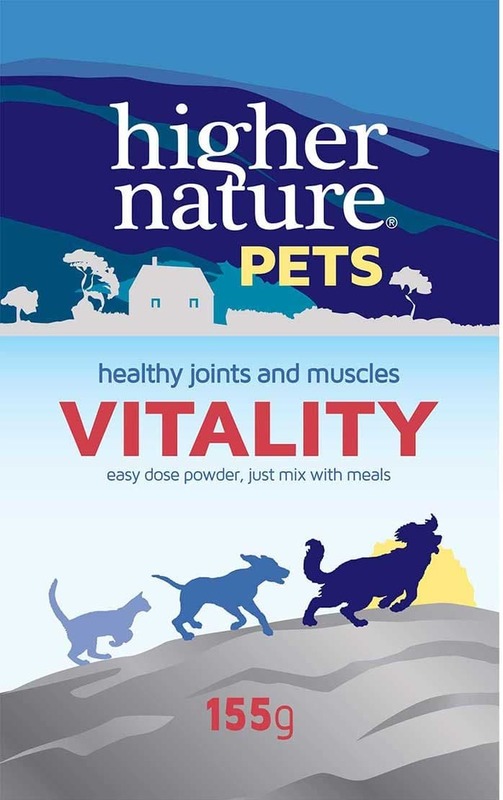 Care for your pet’s joints and muscles with Vitality, a complete formula for cats and dogs. 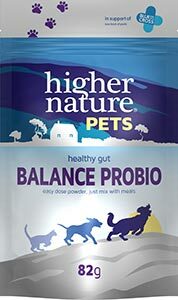 This nutritious supplement helps keep your animals feeling active, flexible and strong. Formulated with glucosamine hydrochloride and chondroitin, as well as manganese and green lipped mussel powder, it provides a healthy dose of omega 3 and aids the normal maintenance of healthy bones and joints. 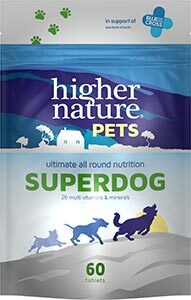 Available in an easy powder form, simply mix into your pet’s food to support their active lifestyle. WARNING: Not advisable during pregnancy and lactation or if taking blood thinners such as warfarin. STORAGE: Store in a cool, dry place out of reach of children. A complementary pet food for dogs and cats – give only as a supplement to the normal diet. Suitable for all cat and dog breeds. Ideal for working dogs. 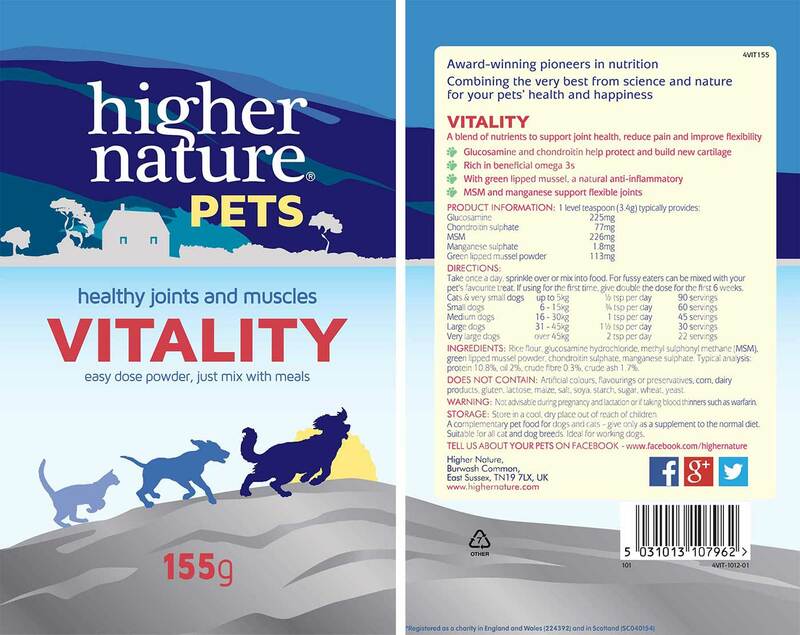 We sprinkle this powder on our 12 year old dog's evening food, as he has arthritis in his back lags. It seems to help him in regaining better use of his legs and being more agile.